View More In Pressure Washers. Power washers provide you with a complete washing system featuring best-in-class cleaning power. cleaning results in less time. trucks, boats, decks, driveways, patios, lawn equipment, and more. New Design: 1500 PSI Power Pressure Washer comes in a completely new design never seen before. Beautiful, Powerful, Portable, Super Lightweight: Perfect for the job! Powerful Clean:The pressure washer make incredible cleaning of all types of vehicles, boats, patios, home, siding, driveways, outdoor furniture and more. It easily gets rid of dirt, grime, gunk, oil, rust, sand and other tough spots. 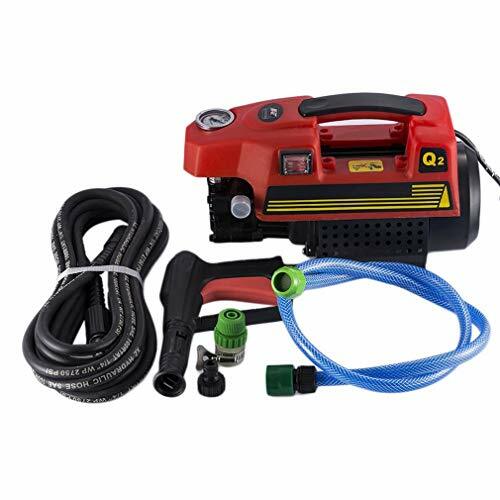 Energy Conservation and Environment Friendly: Quieter than gas engine pressure washer and compare to the standard garden hose, our hose will save more water with less power. Easy to Assemble: It just needs less than few minute to install with a few simple attachments. The hose and nozzles are easily connected to the pressure washer body.